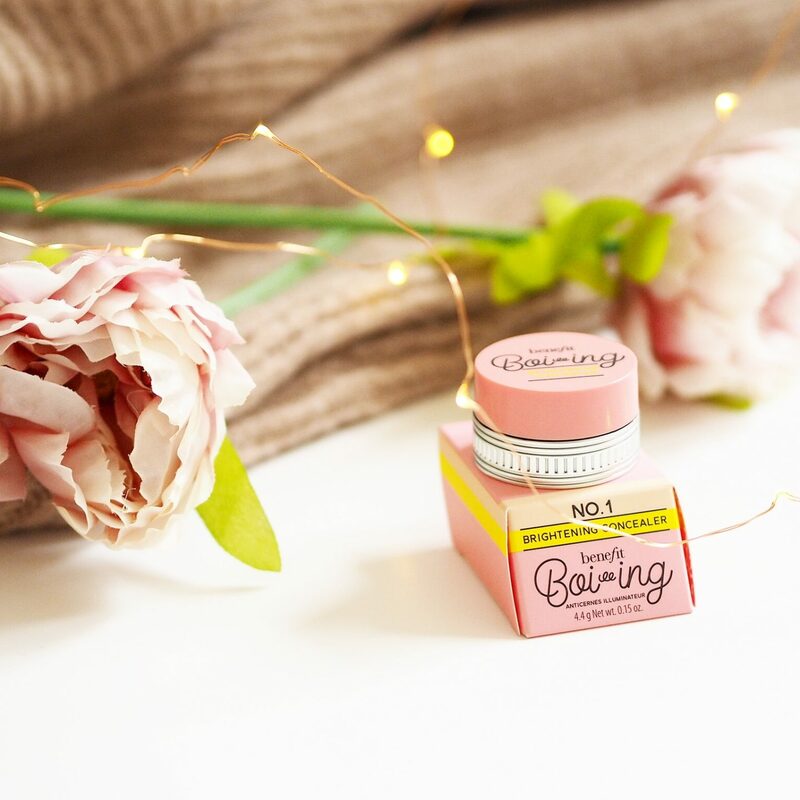 I am slowly growing my collection of Benefit Make-up and seeing as they have recently bought out their revamped Boi-ing concealer range, I obviously HAD to buy one to test the waters. For AGESSSSS now I have wanted to by Benefit’s Erase Paste, and since the new collection has come out this Boi-ing Brightening Concealer is the replacement of this concealer, so that’s why I’ve chosen this one. This product retails at £17.5o but I got it for £14!!! 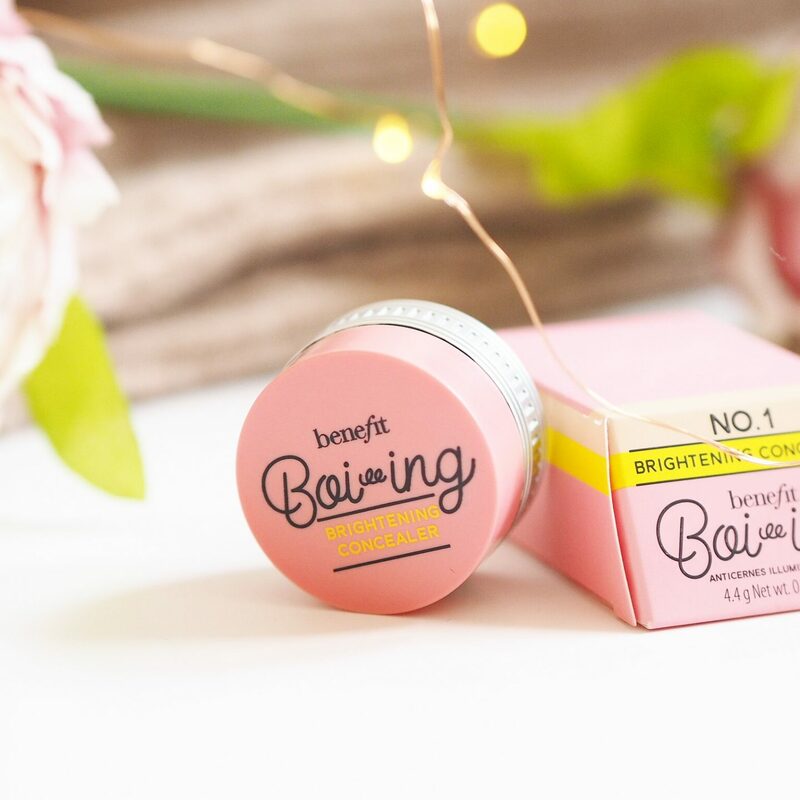 Benefit has a sale on, and you can find a whole range of sale products right here. 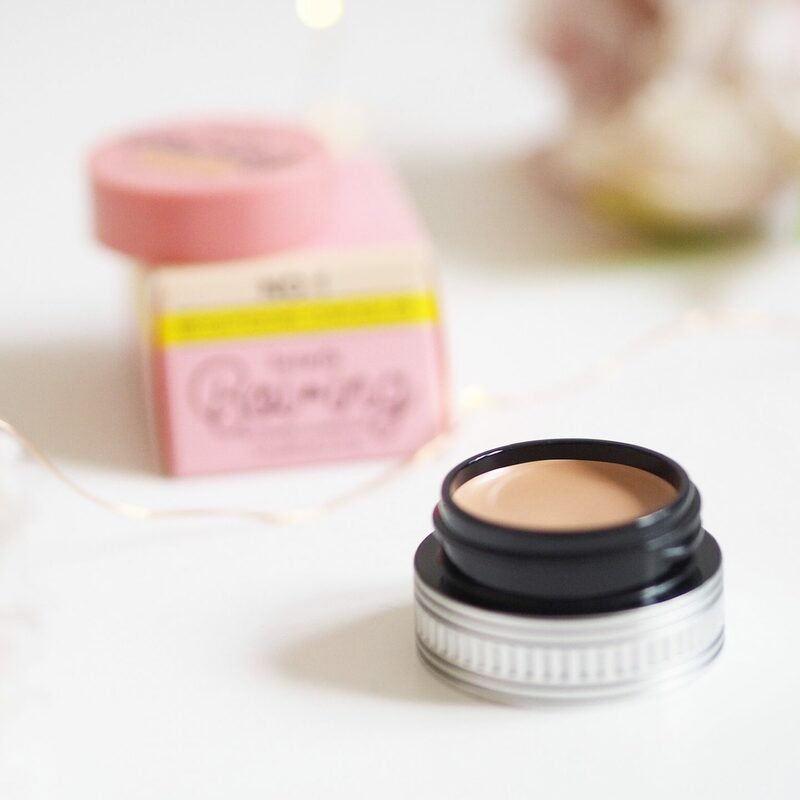 Personally, even though £17.50 is quite expensive for a concealer, I do think this will last quite a while, and therefore I can totally justify spending that much money as it does make a difference when applying your make up! As always, Benefit nails their packaging, it’s always sophisticated, but also fun and bright which is exactly what I like in a make up brand. I love the shade of pink they have used and also, love the fact the box isn’t a standard shape. It has a slight slanted shape, which makes it all that different! Also, the actual pot the concealer sits in is really sleek, combining a metal look with the cute pink lid! So the product says it is a full coverage concealer, ideal for covering up dark circles. Fortunately, I don’t really suffer with dark, dark circles found my eye area, but I do like applying a full coverage concealer in the region before applying foundation as I do get quite red eyes, both on my lid and underneath. Sooooo, is it full coverage? Yes!! It really is great at covering up any blemishes and correcting any red/dark areas on the face. I also have been using this to cover up and spots or any blemishes all over my face because it does such a good job at this! Also, it comes in 3 shades, light, deep or medium. I chose the light one as I really did want it for the brightening aspect and its a perfect colour to do just that :). With concealers, I find it hard to tell if they are long lasting because I apply foundation over the top, however, I have been using this one underneath my foundation and also over the top as a highlight under my eyes to really bring that out! I think the wear is great, it really sits well on your face and appears to last all day, which is just what you need eh!!! Can’t be dealing with any sneaky spots peeping through the surface! na-ah! As you can see from the photos, the concealer is tightly compacted into a small circular pot, so this is best applied using a concealer brush and then blending it in with a beauty blender. Well, this is how I like to apply it and I find it works well. It’s easy to apply, and doesn’t really need that much blending to ensure it is evenly applied. So, there we have it! 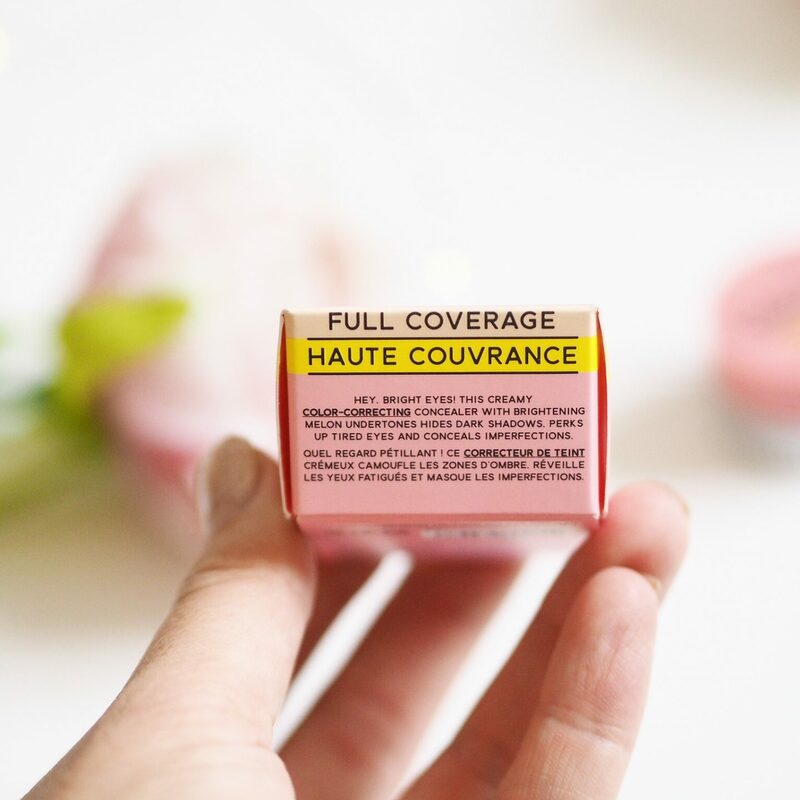 I am so glad I finally got round to trying their full coverage concealer as my first impressions on this product and I think it’ll be one of those that I will buy over and over again. Have you tried their new concealer range? Your photos are so good! I have recently brought another benefit concealer and i’m hoping it will be as good as the brightening one. I love the packaging of this it’s so cute and pretty! It sounds so good, I would love to compare it to my shape tape concealer with it being full coverage! Full coverage concealers are what life is abooooout! Need to try this concealer! Lovely photos! I love the new packaging they’ve released, so super cute and definitely draws me in to purchasing. I think I had this a few years back, need to give it a go again. I purchased the erase paste a while back to replace my old Boi-ing but I didn’t like the colour or the Formula. However the boi-ing was fab and I literally used it until it was empty which was a LONG time! Benefit marketing are the best, they know the packaging just draws us beauty junkies over to the counter like a magnet. ??? Totally agree with you! Everything I have seen from benefit, I fall in love with just because of their packaging!